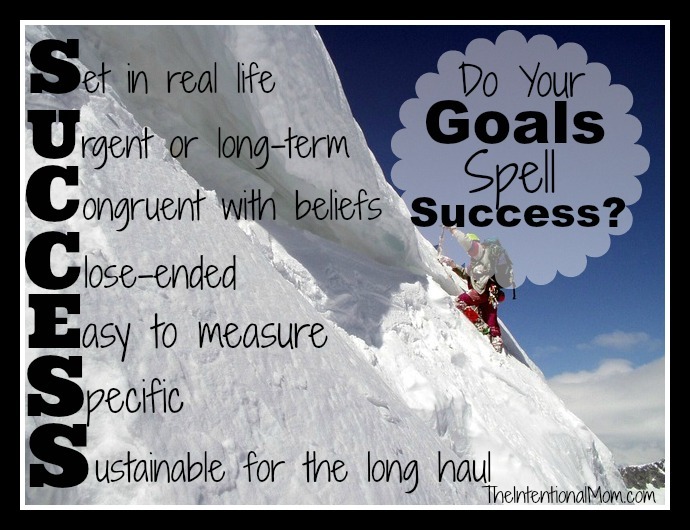 Do Your Goals Spell SUCCESS? Do you know how to be successful in the goals you set? Are you notorious for setting goals that always seem to be just out of reach? Have you tried your hand at setting goals before? Are you wanting to set goals but not sure where to start? Are you wondering what the advantage is to setting goals in the first place? Setting goals provides us with a tangible way to become the person we aspire to become. Goals are the stepping stones we use to take us to the places we want to go. Goals are the means we can use to give focus to our days while remaining aware of the destination we long to arrive at some day. Pinpointing our goals doesn’t have to be complicated, however. Keeping these few things in mind will help you articulate the goals you long to set in order to become the very best you. Starting today. S – Set within the context of your life and the world around you? For example: Setting a goal to get to the gym five days a week is not set within the context of real life if you have no one to watch the kids while you are gone. 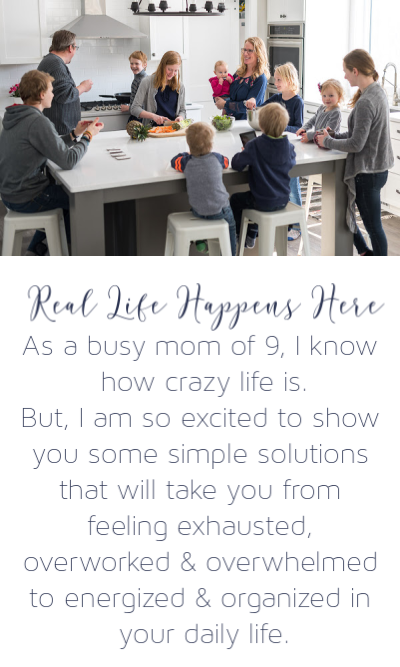 In order to set it within the context of your life you would need to have the ability to have someone come to your house to watch your children or have the financial means to join a gym that offers the option of daycare. U – Urgent or longterm? Ideally, you will set both long-term and short-term goals. For example: Setting a goal to lose two pounds a week would be a short-term goal while going down three sizes by next summer would be a long-term goal. Breaking down goals into manageable pieces is a great technique to use. In this way, you would set a long-term goal first, and then set up short-term goals to keep you on track to accomplish those long-term goals. C- Congruent with your beliefs and priorities? It is easy to take the goals of others and make them our own without ever examining them closely enough to see if they fit within who we want to be. For example: You may initially decide that you want to join your group of girlfriends on their weekend shopping trip, but after giving it more thought, you recall that you have to refinish your deck this summer and that your car also needs new brakes. If you are living on a fairly strict budget, the cost associated with the weekend away would not align with the priorities that your life demands at this time. C – close-ended as opposed to open-ended? Do you have a starting point as well as an ending point for your goals? 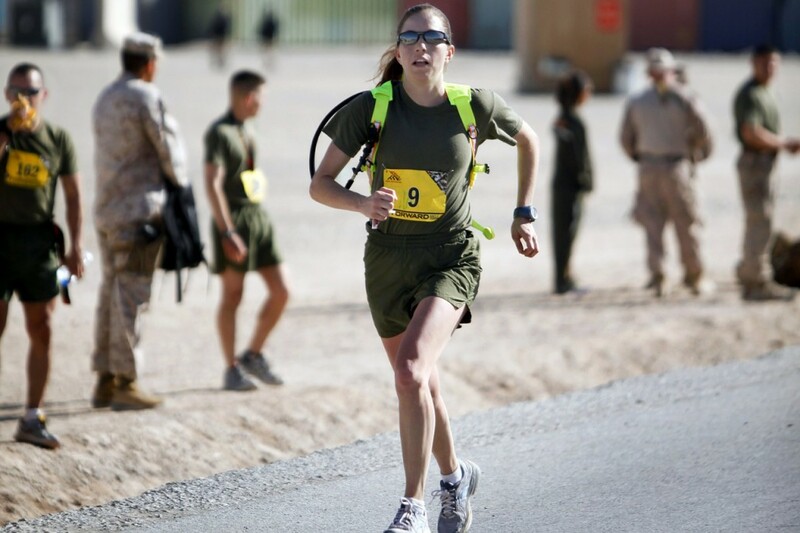 For example: Simply saying you want to run a marathon would be an open-ended goal. You want your goals to be close-ended. In the scenario of running a marathon, you would choose a marathon to compete in next fall, for instance. E – Easy to measure? Will you know if you have accomplished your goal? For example: Saying you want to cook more meals from scratch is a great goal made with frugality in mind, but what does “more” mean? You would need to make it measurable – perhaps decreasing your eating out budget by $30 a month or saying you want to eat out two less times per month are easy goals to examine to see if they have been met. For example: Saying you want to be a better mom is a great goal, but it is very vague. Making it specific would be to say you want to spend 10 minutes with each child a day to focus just on them. Maybe you want to read five books a day to your toddler or turn off your computer for an hour three times a day to focus on your children. These are all specific goals. S – Sustainable for the long haul? Sustainable throughout the short-term? If you are setting long-term goals, they will need to be something you can still work towards down the road. 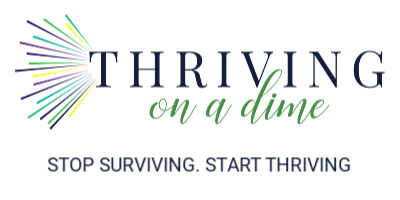 For example: If you set the long-term goal of paying off all your credit cards by the end of the year yet you know your husband will have his hours cut before then, your goal may not be sustainable for the long haul. 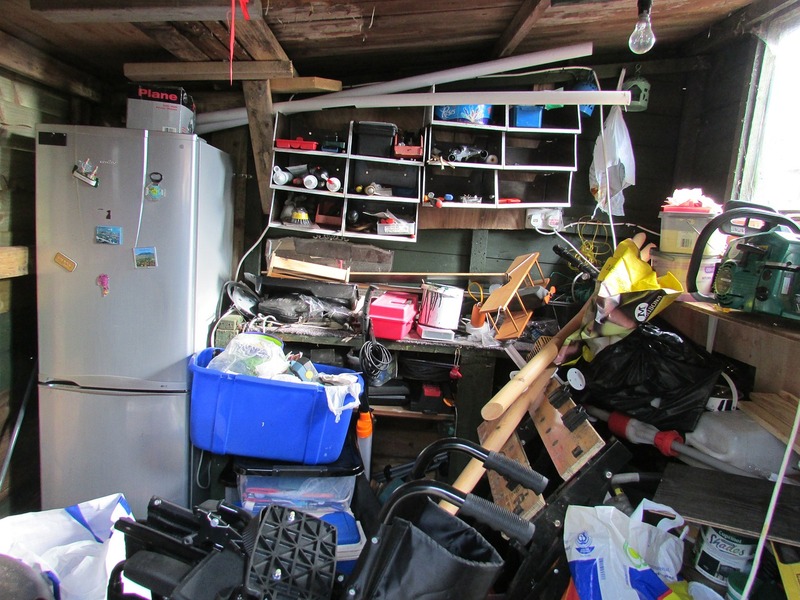 Likewise, if you set a short-term goal of cleaning out the garage over the weekend but are going to be gone all day Saturday at a birthday party, this would not a sustainable goal. Most of us would love nothing more than to accomplish great things, but we do need to be mindful of the goals we set. Remembering to ask these vital questions while setting up your goals will provide you with an accurate roadmap of getting to where you want to be with great SUCCESS!! « Awesome Amazon Deals – Dress Up, Bikes, Kitchen + More! I have to come back to this again and again. I am so guilty of not making my goals measurable, just throwing something out there. Congrats on getting organized. I will be posting my spring cleaning project for the week, it includes a large junk pile in my storage room. Pitching clutter is always a good thing. I really like this. Thanks for sharing. My husband and I have a hard time keeping up on the house since we have little ones and this is helpful to give us some direction! I have yet to master keeping up on the house with little ones, but it always feels good just to try while setting some goals, too. Thanks for reading! This is great timing because I’m working on goals a LOT right now. I’ve always heard about “SMART: goals but this is better imo! Thanks, Lauren. I need to be so focused when I make goals, otherwise they are rarely attainable.